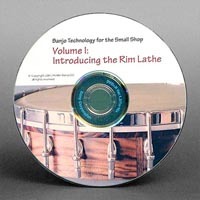 Click here to play a streaming video of the sample of Banjo Technology for the Small Shop, Volume 1: Introducing the Rim Lathe. Click here to download a PDF version of Volume 1 Plans and Resources. 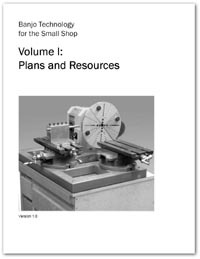 This is the companion booklet to the first edition of Banjo Technology for the Small Shop, Volume 1: Introducing the Rim Lathe. Appendix A, the list of suppliers, has been replaced by the online version avalilable on this website. Click here to see the online list of suppliers.